Why Do Deer Get Velvet on Their Horns? When Do Whitetail Deer Antlers Fall Off? White-tailed deer are widely distributed deer native to the Americas, from southern Canada to northern South America. As with nearly all other members of their family, the Cervidae, male whitetails sport antlers that are grown anew each year. They typically shed their racks after the breeding season, or "rut." Antler growth in temperate-zone whitetails commences with increasing day length in the spring and the corresponding rise in breeding hormones. 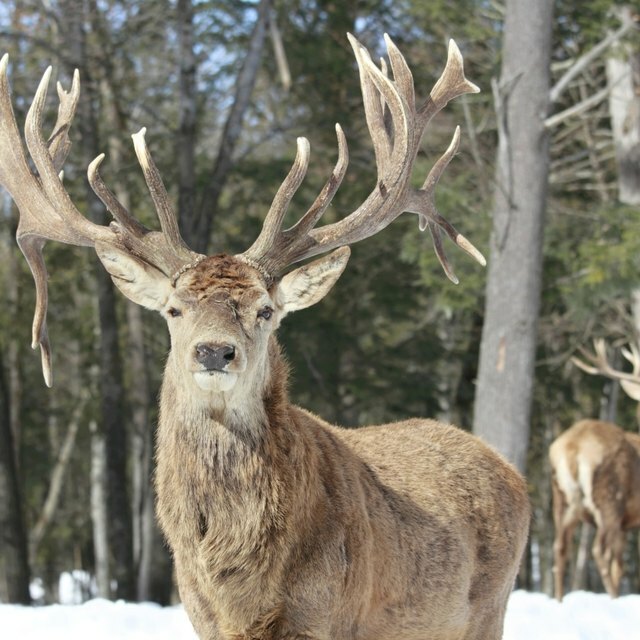 Antlers are initially covered in velvet and laced with blood vessels. By mid- to late-summer, the antlers have begun to harden, or calcify: Blood flow declines and then stops, and the velvet peels away quite quickly -- often aided by the buck scraping his antlers against shrubs or tree trunks. Antlers are fully hardened and bare for the autumn rut, when bucks spar to establish dominance. Diminishing daylight and falling hormones after the height of the breeding season begin the antler-weakening process. Special cells called osteoclasts at the base, or pedicle, of the antler reabsorb its calcium. Eventually the antler drops, leaving a bloody pedicle that quickly heals over. Antlers don’t always shed at the same time; one-antlered bucks aren’t an uncommon sight in winter. When whitetail bucks lose their antlers depends on factors such as latitude and the physical condition of the animal. Bucks in the Upper Midwest may begin dropping antlers in early December, while their Florida or Gulf Coast counterparts may retain them -- and remain in rut -- into mid-winter or later. 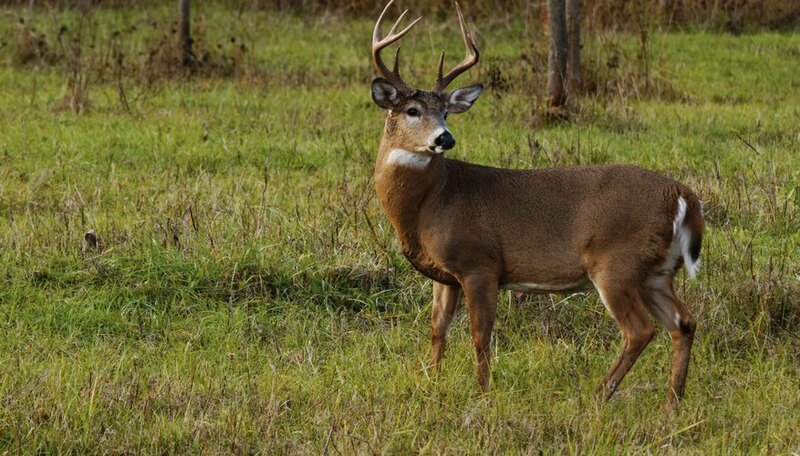 Weakened bucks may shed their antlers earlier than healthier ones. Grand View Outdoors: When Do Deer Drop Their Antlers? How Do Deer Antlers Grow? Shaw, Ethan. "When Do Whitetail Deer Antlers Fall Off?" Sciencing, https://sciencing.com/do-deer-antlers-fall-off-5132839.html. 24 April 2017. Why Do Deer Lose Their Antlers? Why Do Moose Lose Their Antlers?